I've been so incredibly short of time recently that I've hardly been able to venture inside my craft room - just a sneeky five minutes here and there! I was beginning to think that I'd have nothing for my post today and then I realised it was the ideal opportunity to showcase the versatility of the Serene Scenery Designer Series Paper! Serene Scenery DSP is so beautiful and also helpful for those short on time! 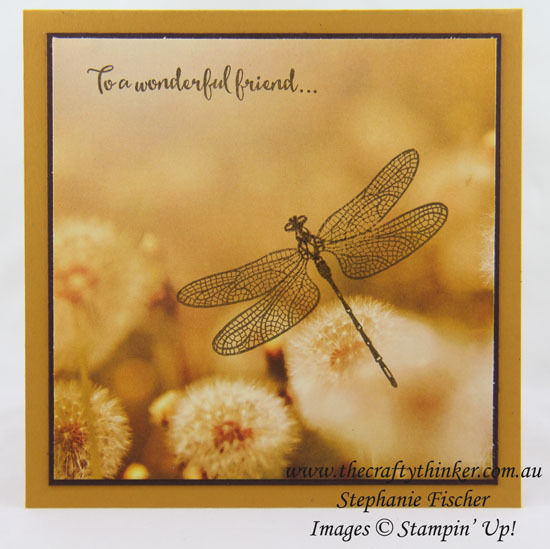 It was so quick and easy to stamp the two images onto the designer paper and then adhere the layers together. My tip for today - when you need a card but are short on time - Designer Series Paper is your best friend!